.ikcha. handcrafted jewelry: And my gift: the ring!! And my gift: the ring!! Recibí uno de mis mejores regalos esta temporada: un anillo que me regalo mi novio, Abraham. Representa el año que hemos estado juntos y muchas cosas más. I received one of my best presents this Season: A beautiful ring from my boyfriend! It represents the year we are together and a lot of romantic things also. Isn´t it cute? I love it! and also I love my guy!!!!!!! Es un anillo hecho a mano, de plata y con una madre perla en forma ovalada. Es tan organico, mistico y romantico; el regalo perfecto para una joyera!! 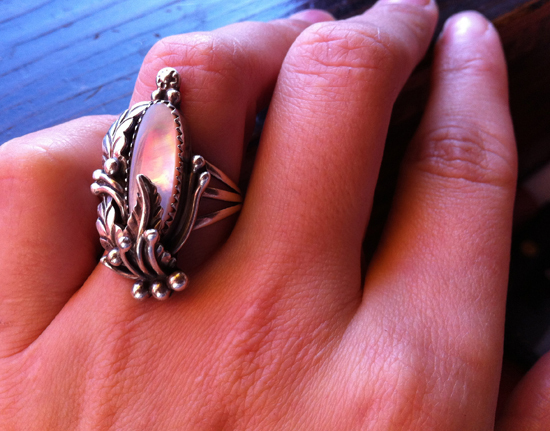 It's a silver one, handmade, and with mother of pearl setting in an oval shape. 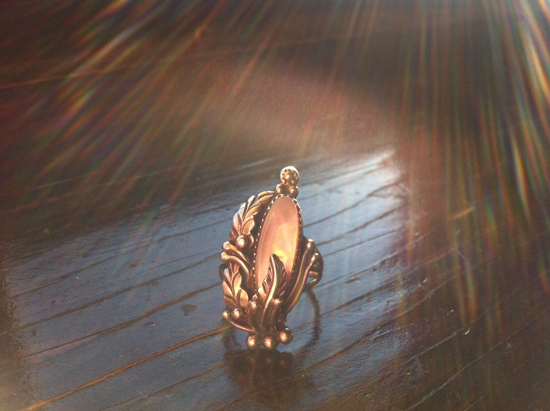 It so organic, mystic, romantic ring; perfect for a jewelry designer.